Definition at line 35 of file dummy-client-face.cpp. Definition at line 39 of file dummy-client-face.cpp. Definition at line 48 of file dummy-client-face.cpp. Definition at line 53 of file dummy-client-face.cpp. Definition at line 58 of file dummy-client-face.cpp. Definition at line 63 of file dummy-client-face.cpp. Definition at line 69 of file dummy-client-face.cpp. 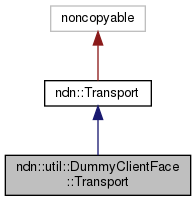 Definition at line 79 of file dummy-client-face.cpp. Definition at line 85 of file dummy-client-face.cpp.